This recipe come from www.southernplate.com - great website, be sure to visit her! 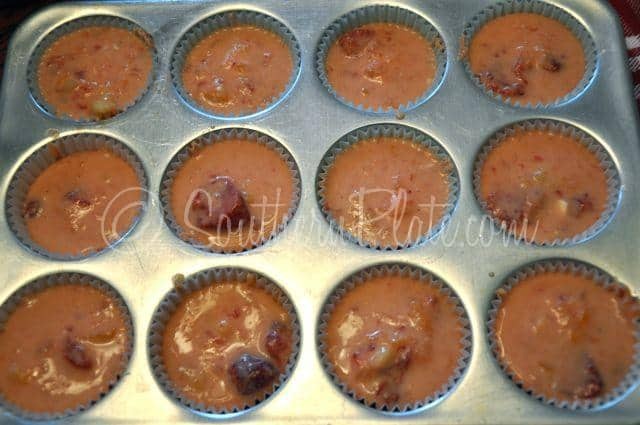 Line a muffin tin with paper cups and fill each cup with salad mixture. Freeze several hours, or until firm. Pop out of the muffin tin, but leave in the papers, and place salads in gallon zipper seal bags and return to the freezer. Makes about three dozen salads. Drain juice from both cans of fruit into a measuring cup. Using a knife, carefully dice apricots while still in the can. Place reserved fruit juices and sugar in sauce pot and cook, stirring constantly, over medium heat until sugar is dissolved. Remove from heat and set aside. In large bowl place peeled bananas and mash well with long tined fork. Add in chopped apricots, pineapple, strawberries (juice and all), orange juice concentrate, and yogurt. Stir well. Pour in cooled juice mixture. Stir until well combined. Line a muffin tin with paper cups and fill each cup with salad mixture. Freeze several hours, or until firm.